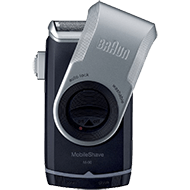 The Braun M90 Mobile Shaver is an affordable solution to when you don’t have a lot of money to spend, but still want to get a good clean shave. 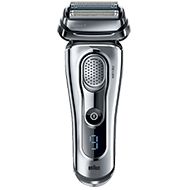 Based on the customer reviews, this shaver does a good job for its affordable price. 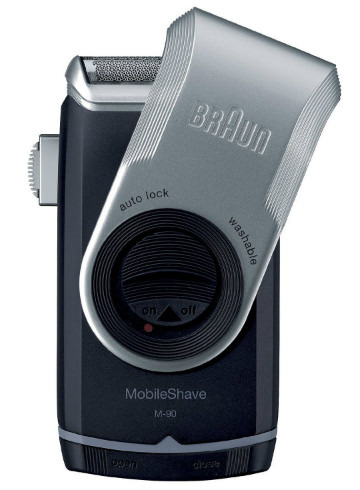 This Braun is a foil style shaver that is shaped like a Braun vintage shaver, and its casing is made in black and silver. 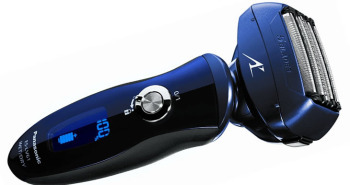 This shaver differs from many other shavers on the market today. It’s designed to work with batteries, so you don’t have to plug it in at the end of the day. If you wish to extend the life of the shaver, it’s best to use rechargeable batteries, and keep an extra set in your bag. Just switch them out when your Braun shaver is running low. The battery compartment is located right at the bottom of the shaver near the “open” and “close” printed markings. The Braun shaver has a compartment that opens up, so you can insert the AA batteries. This provides the best convenience for when you want to shave on the go. There is a handy cover to protect the foil head while in transit, and an auto lock will keep your shaver from accidentally turning on. 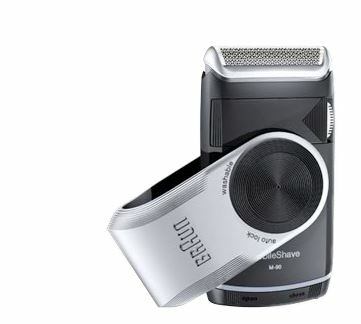 The Braun mobile shaver is completely washable, so you can use it wet or dry. You can rinse it under the tap to wash it after you have finished shaving. What’s so handy when washing wet is that you can use this mobile shaver with shaving gels, foams, creams, and lotions to get a better shave. 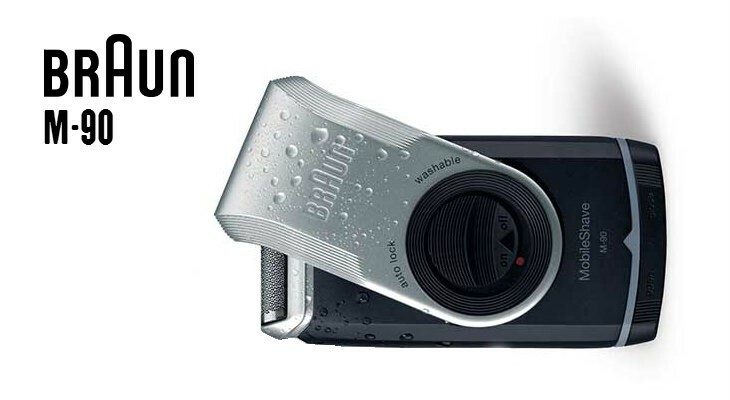 The Braun M90 does a better job of shaving when used wet and with gels. It’s best to use on one day old stubble, as it’s so compact, it may not handle longer growth quite so well. 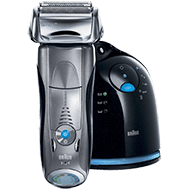 But for men who do shave everyday, it can be the best option to an affordable shaver. The shaver has a piece that turns downwards, which makes it easier to grip this portable shaver. This is the same piece that protects the foil head while not in use. It’s a clever design that utilizes all parts of the battery operated razor. The shaver has a wide floating foil, to cover more skin surface in one pass. This foil will give you a close shave, with minimum comfort. 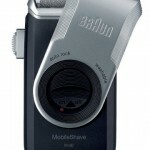 The Braun mobile shaver is so affordably priced, that you’ll be able to buy an extra one for your gym bag or backpack. The shaver is quite light, at 3.2 ounces. It also includes an extendable long hair trimmer, so you can trim mustache, sideburns, or beard. 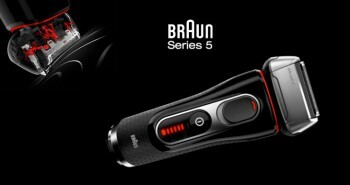 The trimmer is located to the left side of the Braun M90 mobile shaver. It slides out when you need it, then slides back in again when you’re done. If you’re searching for an affordable portable shaver that doesn’t have a lot of frills, then the Braun M90 mobile shaver may be the perfect, but affordable men’s shaver for your face. Smart Foil: Captures hairs growing in different directions. Wide floating foil: Wide and thin ultra flexing foil adjusts to the facial contours for a close and comfortable shave. Washable: Fully washable under running water! Twist cap: Protects the foil when not in use and also acts as a handle extension. MobileShave is Braun s smallest electric shaver, but does not compromise on superior technology, reliable quality or sleek design you expect from Braun. It s a must have shaving tool for any man who wants or needs to look great all day long.